March 15 to May 3, 2019 – My work has been juried into the Bridgeport Art Center 7th Annual Art Competition in Chicago at 1200 West 35th Street. Opening reception and awards ceremony will be on Friday, March 15 – 7 to 10PM in the 4th Floor Gallery. March 2019 – I was asked to participate in the curated website Illinois Artists List. March 15 to May 3, 2019 – My work has been juried into the Bridgeport Art Center 7th Annual Art Competition in Chicago. 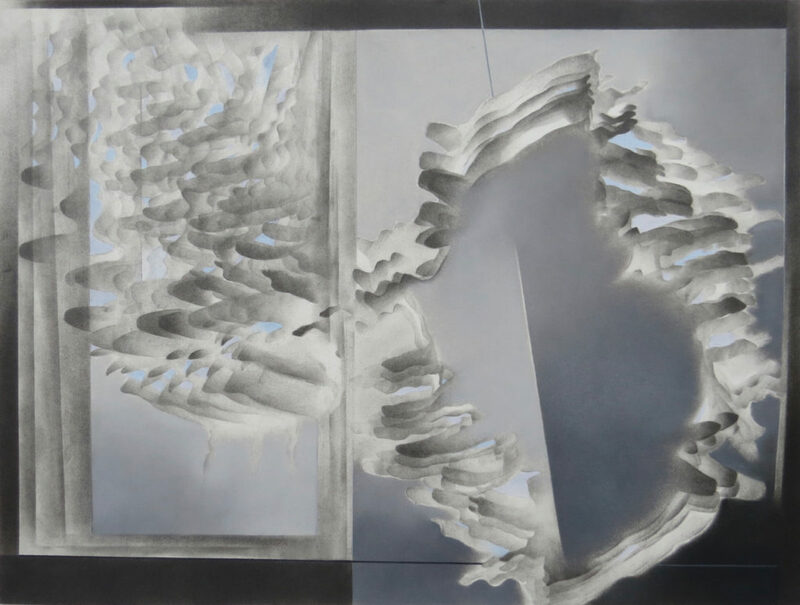 March 12, 2019 – Mesh Art Gallery published in their blog, “Serendipitous Detour: the drawings of Kate Hendrickson”. December 2018 – I have the pleasure to announce that I have been asked to join Mesh Art Gallery which specializes in contemporary works of art on paper such as drawings, photographs and fine prints. It is a great honor to be included with so many talented US and international artists. October 18, 2018 – My work was accepted for the exhibition and auction to benefit Art For Life Chicago – DIFFA at Venue West. September 2018 – I was honored with the appointment to the Visiting Committee of the College of Creative Arts at West Virginia University. September 27-30, 2018 – I was juried into The Other Art Fair Chicago presented by Saatchi Art and held at Mana Contemporary. Pamela Staker and I debuted our collaborative series, “The Five Elements”. As well, I exhibited my individual artworks. Follow me on Instagram. Follow Staker-Hendrickson (aka PAMAKT) Collaboration on Instagram.